A 75-foot tugboat from 1927, a magical 1984 Blue Bird Bus converted into a beautifully rustic tiny home, a meticulously decorated Airstream perched on a private bluff, a 5-floor bamboo palace with a private pool… Why would you stay in a hotel when you can stay in one of these incredibly unique homes? 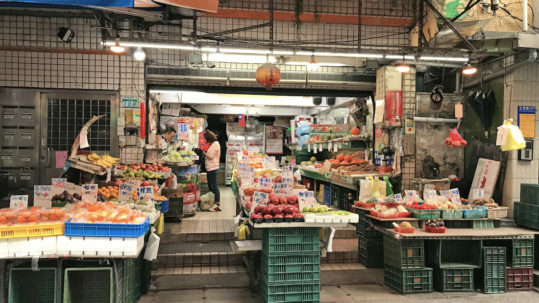 Since the birth of home-share websites such as AirBnb, travelers now have the opportunity to skip the check-in lines at overpriced hotels, and stay in one-of-a-kind homes around the world. Check out these wild, unique, and wanderlust inspiring homes that are currently for rent on AirBnb. 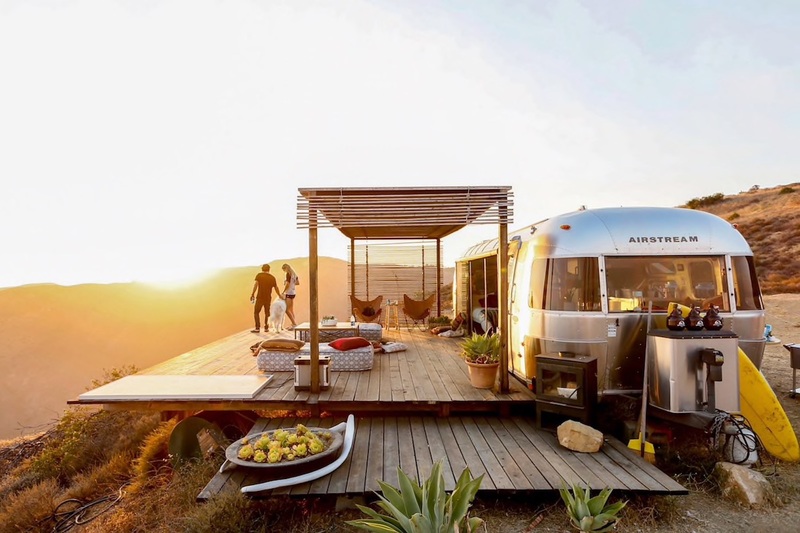 Perched on a private bluff amidst thousands of acres of pristine nature and wildlife, the airstream boasts infinite ocean views, serenity and style. 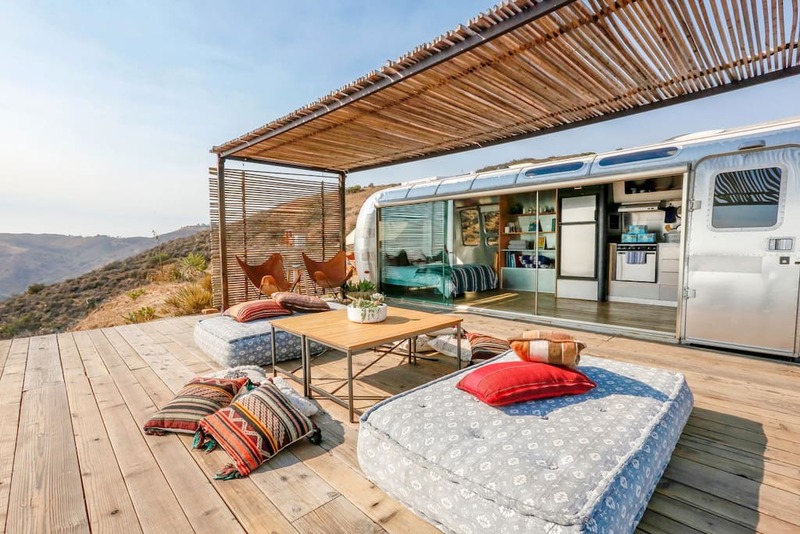 This is the personal Airstream of a nature-loving Malibu designer who built it as his personal getaway from his hectic schedule. Stripped down past its aluminum studs, it’s been redesigned into a large studio with three large frameless glass panels that slide open to a huge cantilevered deck with unrivaled views of the Pacific ocean and thousands of acres of pristine and untouched nature. Lounge on our luxurious, extra thick wool rugs and cotton poufs, drive down to surf one of Malibu’s best beaches, have dinner at neptune’s net or go hike Sandstone Peak, Santa Monica’s highest mountain just behind the property. Enjoy incredible sunsets and starry nights from the meticulously decorated deck. 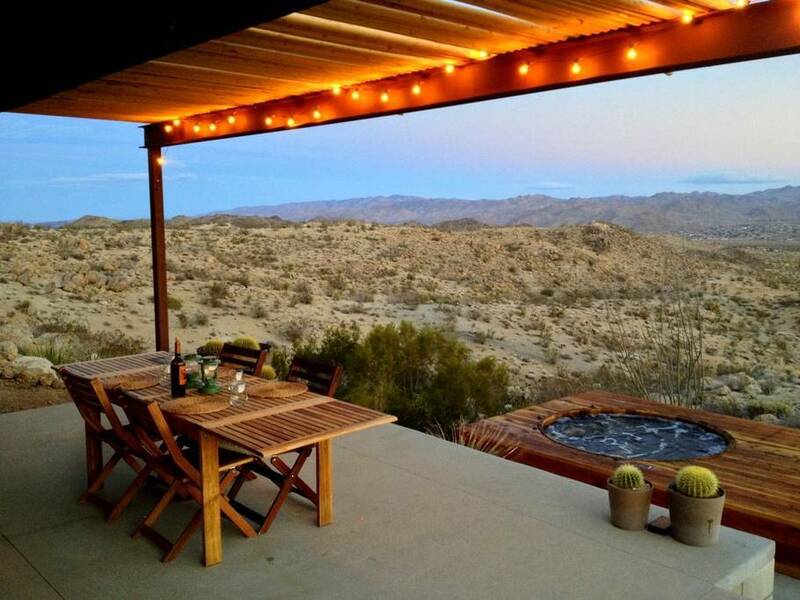 The Joshua Tree Green House is a beautiful vacation retreat located at Sun Mesa Heights close to Joshua Tree National Park. Enjoy an amazing 180 degree view of the Park, Mt. San Jacinto and Mt. Gorgonio as well as the spectacular night sky while soaking in our outdoor hot tub. The retreat is a 2 bedroom, 1 ½ bathroom house sleeping 2-6. The master bedroom has a king size bed, a large counter height work surface for the creative and a lounge seat next to the large window overlooking the valley. The second bedroom has a queen size bed and enjoys a quiet view of our rock garden and private outdoor area. The living room has a comfortable queen size pull out sofa bed. Families are very welcome. The retreat is equipped with indoor and outdoor spas. Either soak with friends and family while enjoying the view or just relax by candle light indoors. It comes with a BBQ, fire pit, and a spacious two level outdoor terrace for dining under the stars, sunbathing, or stargazing. 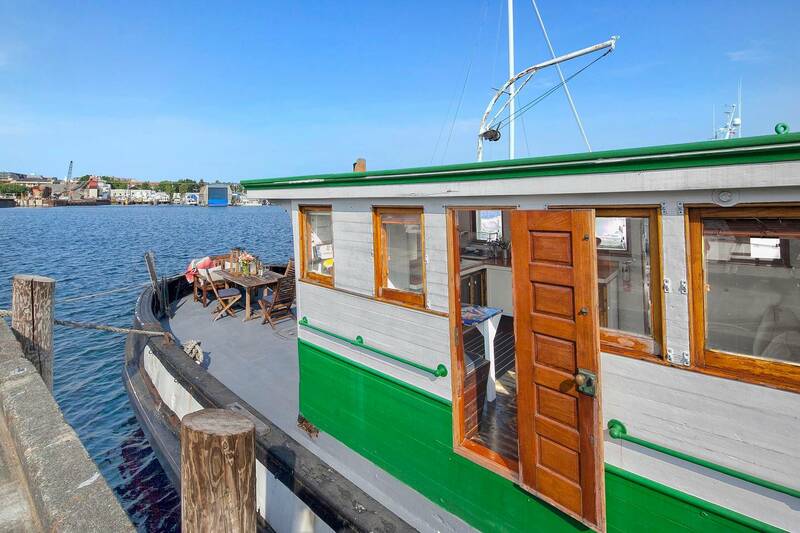 Stay on a historic 1927 75 ft tugboat, renovated to include all the modern conveniences of today, for an unforgettable vacation! Located 10 minutes from Downtown, in the Magnolia/Ballard neighborhood, it’s close to everything. Tugboat Sally has recently completed an entire renovation of the interior main cabin, lovingly restored by her owners themselves. The main stateroom boasts a custom bed, the head was updated to include a custom walk-in shower, the main salon features doors that open to the outdoors, a small dining area, and a large open kitchen with a pass through porthole window to the back deck. The large deck has a dining table, a BBQ, and a prep table-perfect for meals al fresco. At the bow of the boat you will find a stairway to the wheelhouse – bring a book to enjoy the daybed and take a step back in time. 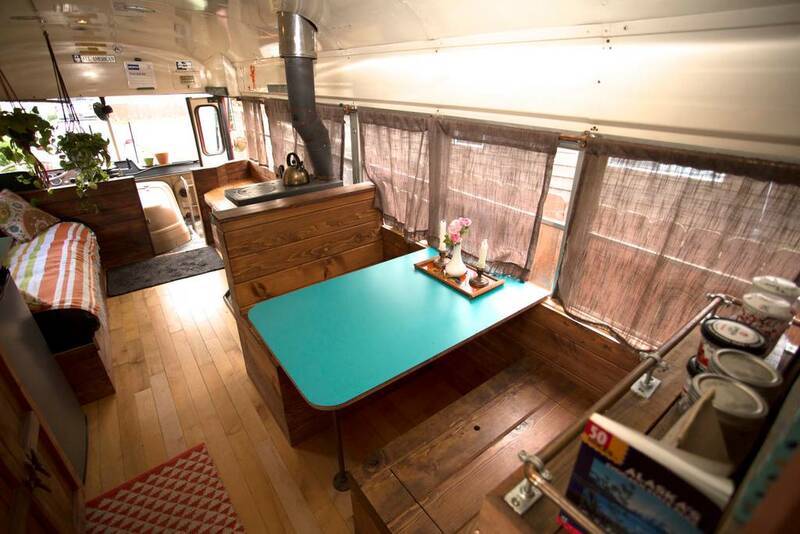 This beautifully converted bus in now a charmingly rustic tiny home. Experience a little Alaskan magic by staying in the cozy Blue Bird tiny home. Nestled in the darling 1950’s Nunaka Valley neighborhood, this 1984 Blue Bird Bus (also known as Nellie) has an adventurous story. For over 30 years she ran as a Kenai Fjords tour bus through Denali National Park and a route from Valdez to Seward until she recently retired in 2014. Nellie was picked up and by a sweet little family of 4 in Seward and customized into a beautiful tiny house, where they lived for a year. She is equipped with beautiful reclaimed maple floors, custom wood interior, comfy sofa, full kitchen with dining area, bunk beds, queen master bed, flat screen TV with movies, mini solar shower, and compost toilet. Now Nellie is ready to share her magic with people from all over the world as a B&B. We are thrilled to host your stay, so please make yourself at home. 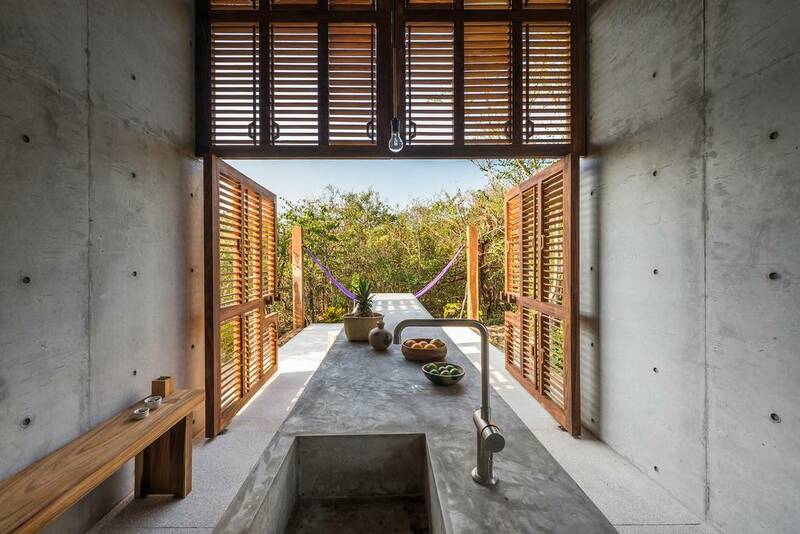 This beautiful tiny house is the perfect escape, enjoy the private beach, private pool and vegetation. Perfect for a couple or just to relax alone in the hammock. Be part of the tiny house movement in this luxury designers house. 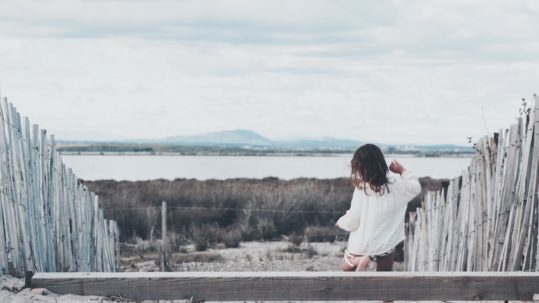 The space, Inspired by Henry David Thoreau’s “Walden”, Casa Tiny is a place to escape from society, enjoy a simple life for a couple of days, a week or a month in this minimal, low-impact, isolated abode. The big table area is perfect for hangout, use the hammock while you enjoy the perfect book. Ideal for people looking for a remote place to scape from the city. With privilege access to Casa Wabi (artist residency) and Hotel Escondido. A unique bamboo house and a beautiful work of art. Both the river valley view & interior are remarkable, providing a marvelous feast for the eyes. Guests find it extraordinary to live so close to nature but in complete luxury. 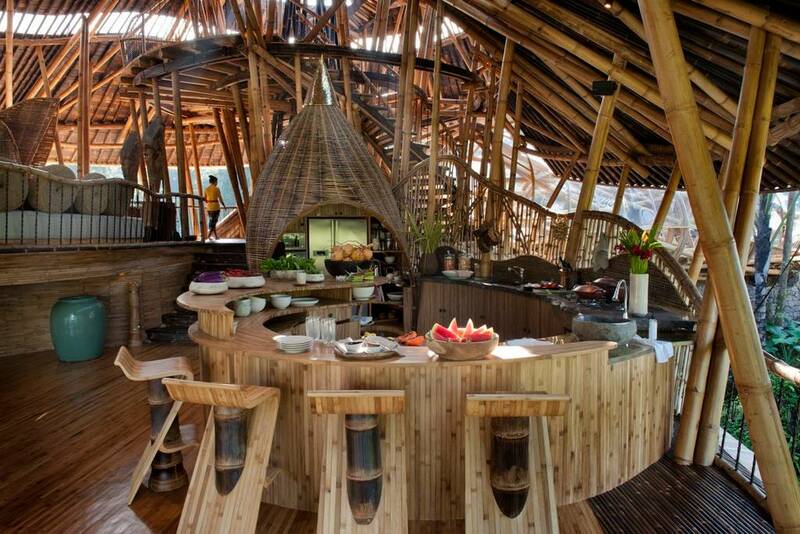 Set on a river valley landscape along Bali’s sacred Ayung River, this 5 floor bamboo house is unique. It is the latest addition of a master-planned community of high end bamboo villas with distinctive blonde roofs. Sharma Springs is comprised of 5 floors, with 4 bedrooms, all with ensuite bathrooms, a kitchen, lounge and dining area with fabulous views, pool, and work space on the top floor, a media room, a kids play room, and an outside BBQ area. The main entrance is an enormous bamboo tube which acts as a bridge to the oval front door, where the lounge and kitchen are situated. From the bottom floor, guests can access the private garden and pool, perched quite literally on the edge of the river valley. All the rooms are furnished with exquisite bamboo furniture which perfectly complements the décor. The scenery and view from the house are breathtaking. Check out 9 Incredible Glamping Destinations!